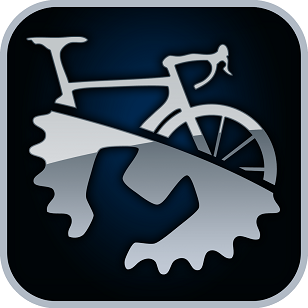 All prices quoted do not include any replacement parts required on your bike. 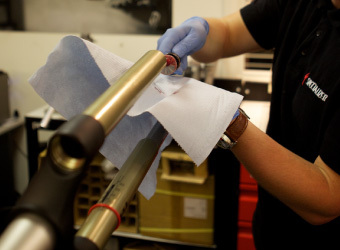 From straightforward repairs like replacing an inner tube on your bike to more advanced jobs like “custom tuning” on your latest suspension fork, we really can provide an excellent service. 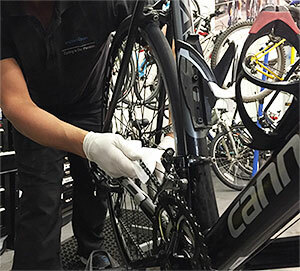 With our popular “Platinum” service not only do we do all mechanical adjustments & tuning, we will also clean your bike & components where required. As we have a designated "cleaning" area don't be concerned if your steed is covered in dirt/crud. We love to get our hands dirty and look out our brushes and soapy water. Includes carefully washing frame, forks and wheel rims. Gears and brakes adjusted and fine tuned to maximum performance. Tyres inflated to correct pressure. Every component checked, adjusted as necessary or replaced. ​Check all nuts and bolts are checked & torqued accordingly. Cycle will be polished on completion of job. Final invoice will include a detailed report on the cycle and the work carried out. Please Note: A “Service Surcharge” of £5 (per area#) will be added to your final bill if your cycle required any internal work on wheel hubs#, headsets# and/or bottom brackets#. All prices quoted above do not include any replacement parts required on your bike. Check tyres are at the correct pressure and making sure that all nuts and bolts are checked. Please Note : Any cycles that have a heavy crud/dirt build up on components and frame will not qualify for a mini service. Inner tubes can vary in cost depending on quality & size, please ask for a quote to replace the inner tube on your bike. If you purchased your cycle in a "boxed" & un-assembled state from wherever, we can fully assemble your bike ready for the road for your peace of mind. If your hydraulic brakes have lost power, it may be that small amounts of air have been trapped within the hose. 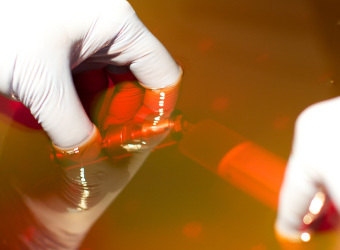 We remove these air bubbles and replace/top up your brake fluid which in turn restores the power. Please Note : There may be some brake brands/manufacturers where we are unable to provide this service. 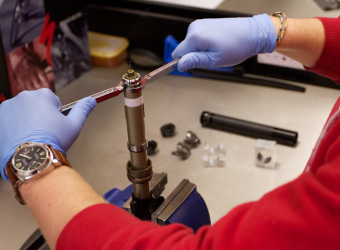 For all your suspension servicing requirements we can take care of that too, we work with our partners at Specialized, ZyroFisher, TF Tuned & Windwave to ensure you get the best service & quick turnaround as possible. For further information, pricing or any other repair requirements not listed, please give us a call on 01294 272712 and we can advise.